The Human Resources Management Certificate program will consist of fifteen semester hours including four required courses and one elective course, incorporating practical, hands-on experiential exercises and activities. The certificate is a competitive program and will admit students from both within and outside the College of Business. Applicants must have an overall GPA of 3.2 or higher. 1. Complete the online application, including a 300-500 word statement expressing your interest in the study and practice of human resources. 4. 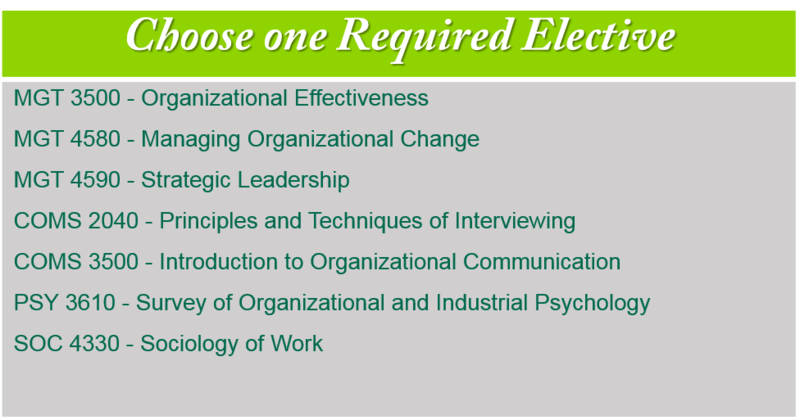 Complete a panel interview, with leadership faculty. Must bring most recent DARS to interview. 5. Complete add/change of major forms found in the Center office (401). Prepare and submit a statement expressing your interest in the study and practice of human resources management. The statement should not exceed 500 words or 3 paragraphs and include the following. 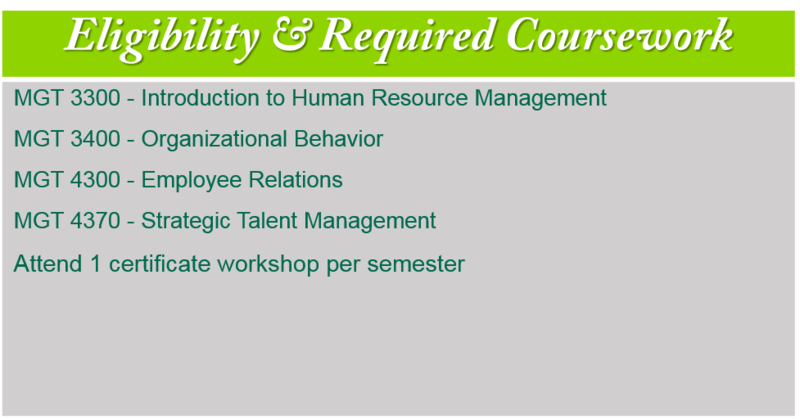 Discuss your interest in the field of human resource management including what you hope to learn from your coursework. Describe how you will make achievement of the certificate a priority by being highly engaged in classes and attending extracurricular activities (guest speakers, etc).